We’ve been operating throughout Bedfordshire for over 60 years, looking after both small domestic clients and also working on big commercial properties. Whatever it is you need, we’re here to help. Tiling is a sure fire way to add value to your home without spending lots of money. 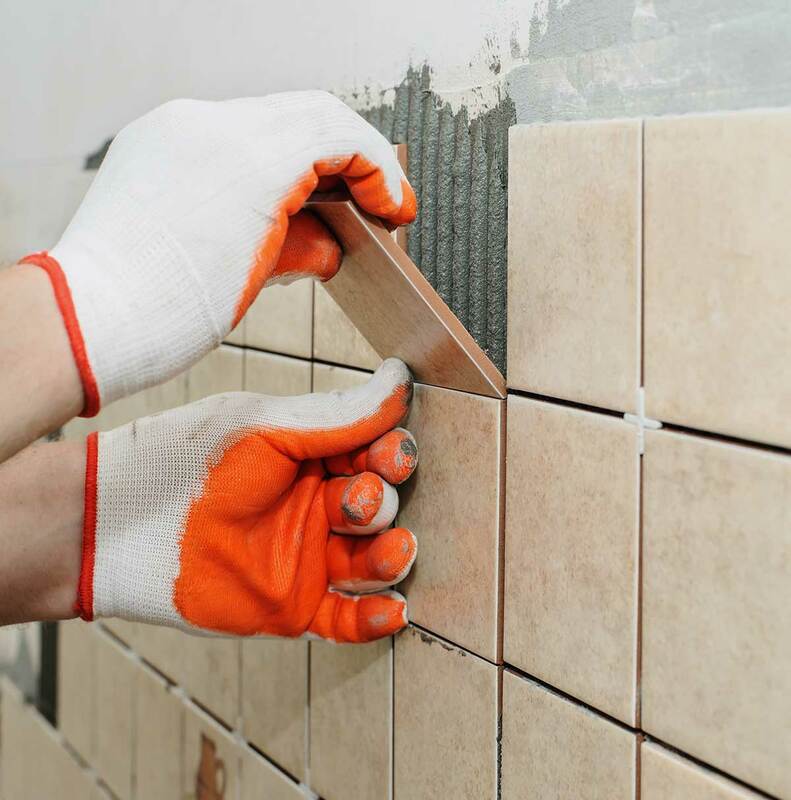 Whatever your needs, our expert tilers are here to help. Tiling a bathroom or kitchen, or anywhere for that matter, can be a real headache so why give you the stress when we can carry the load for you? Our expert tilers worry about the results so that you don’t have to. Rest assured you’re in good hands. Alongside our property maintenance service and tiling business, we also offer carpentry repairs, so get in touch and see what we can do for your home today. Discoloured tiles, ageing worktops? We’ll fix it.